At the library I found this lovely new cookbook, Huckleberry: Stories, Secrets, and Recipes from Our Kitchen. The design and photography of this book are scrumptious! 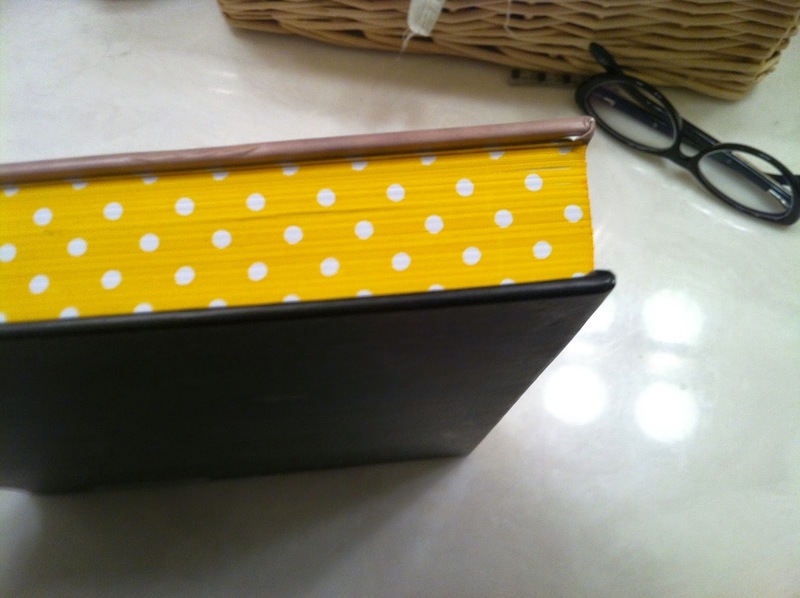 Check out the sunny polka-dot pattern print on the edge of the pages. I loved leafing through this book again and again before I even tried any of the recipes because of the clean, open design and beautiful photos. Some of the "stories" mentioned in the title were a little bit of a downer though. There's a section of apologies in the back of the book that includes some very specific digs at specific customers. 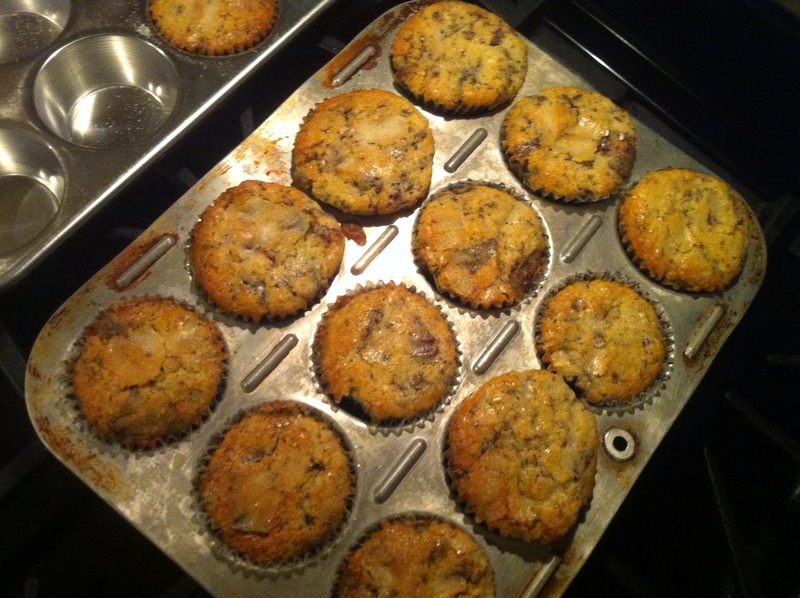 That weirdness aside, I just had to try the chocolate chunk muffin recipe. 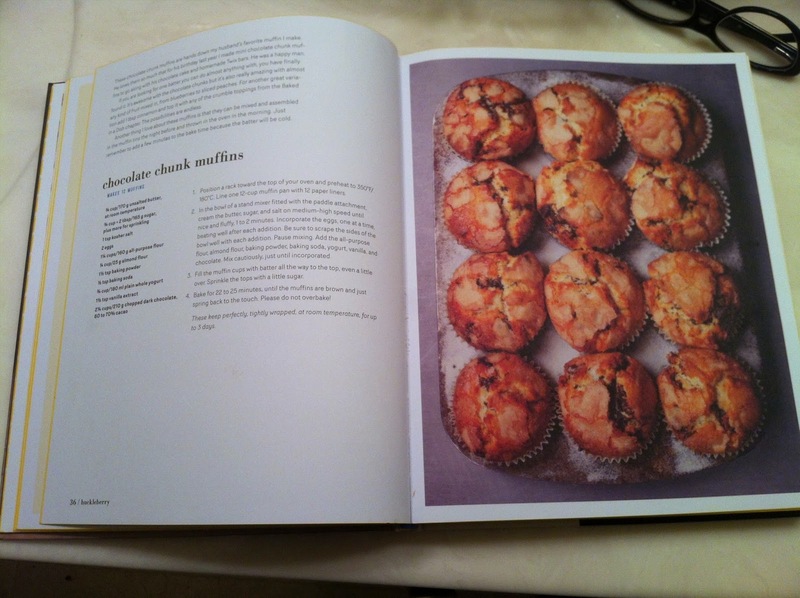 The muffin recipes are the original recipes used at the restaurant where they are baked in a convection oven. The author notes that in a regular oven they will be flatter, and less domed because the flour content is lower than you would find in a typical recipe for home bakers. My oven has a convection bake setting that I have never really used. So this piqued my interest. I made the recipe twice—first on the regular setting and with the convection setting the second time. 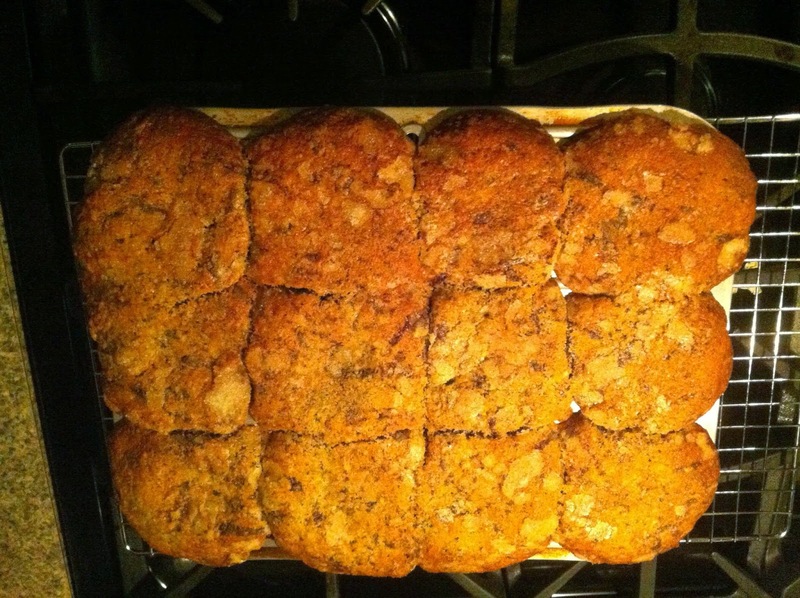 First batch — overfilled, regular oven setting. This made a lot of batter for 12 muffins, but the recipe specifically says, "Fill the muffin cups with batter all the way to the top, even a little over." DON'T!!! These were delicious, but ugly and made a terrible, smoking mess in the oven. 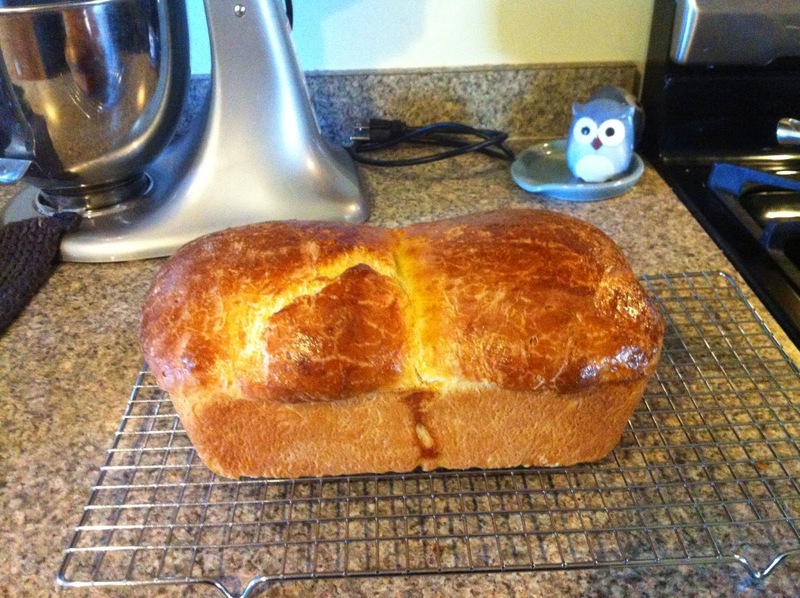 For Christmas dinner, I also made the brioche from the book. It made a beautiful loaf and my kids loved it. I thought it was pretty good, but I have another recipe I like better for the texture of the inside. This one was not as soft and buttery on the inside as it could have been in my opinion. Also, I think there is a typo in the recipe. The ingredients include both all-purpose and bread flour at the same volume—one and three quarter cups, but the weights listed are significantly different at 215 g all-purpose and 185 g bread flour. At first I thought all purpose flour might just be heavier than bread flour, but the volume of 185 g bread flour was only about a cup and the dough was super sticky, so I added more bread flour. In the end it turned out ok, but with both of these recipes there were some problems that made for a less than relaxing baking experience.